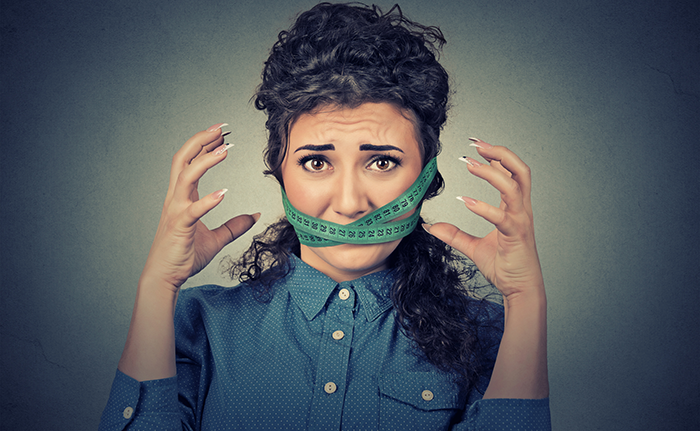 If you’ve tried every weight loss trick out there but the scale isn’t budging, this article will show you possible reasons you’re not losing weight. Most articles on the web don’t look into all aspects of weight loss. They only give you vague advice like, eat less and move more. While this is good advice, it’s not enough to help you reach your weight goal. Today we will discuss things that you ignore that may stop you from losing weight. Here you go – 25 habits that may be sabotaging your weight loss efforts. According to research, most folks maintain healthy eating habits on weekdays and overeat on the weekends. Eating high calorie foods and overindulging in alcohol from Friday to Sunday can easily cause weight gain. You have to change your eating habits on the weekends if the scale goes up every Monday morning. Be more aware on the weekends to realize what makes you overeat. If it’s being idle – keep yourself busy. If it’s eating restaurant food – cook your own meals. Cheat days are supposed to help you overcome the stress of dieting and maintain healthy eating habits. But most folks see them as an opportunity to overindulge in unhealthy foods. 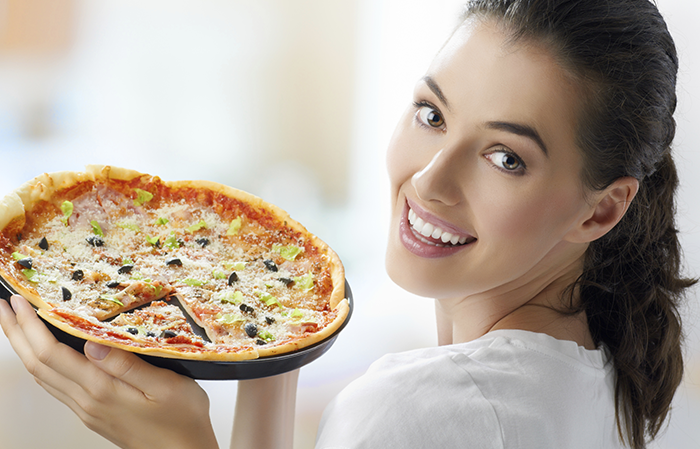 In many instances, dieters lose control and continue bingeing days after the cheat day. If this happens to you, stop having cheat days. Just eat the foods you enjoy when you crave them instead of planning for a specific day to eat them. Cheat days only work for people with control of food. If you don’t, stay away from them. Various studies show that people underestimate the number of calories they consume and overestimate calories burnt through exercise. If you’re not losing weight chances are you’re eating too much. Counting calories is the only way to know for sure if you’re on a real calorie deficit. And you don’t have to count forever, just do it until you can accurately eyeball portions. MyFitnessPal is one of the most popular tracking apps. You can use it to track your weight and daily calorie intake. Research has proven that eating late at night causes weight gain. A study published in The American Journal of Clinical Nutrition found that people who ate between 11 pm and 5 am gained more weight than those who didn’t. And this six months study conducted on 160 healthy adults found that 37% of the subjects were eating past 11 pm, for 3 consecutive days. At the end of the study, the subjects who ate late at night had gained more weight. It’s not the act of eating late at night that causes weight gain but rather the excess calories you end up consuming. Set a simple rule that you won’t eat anything after dinner. 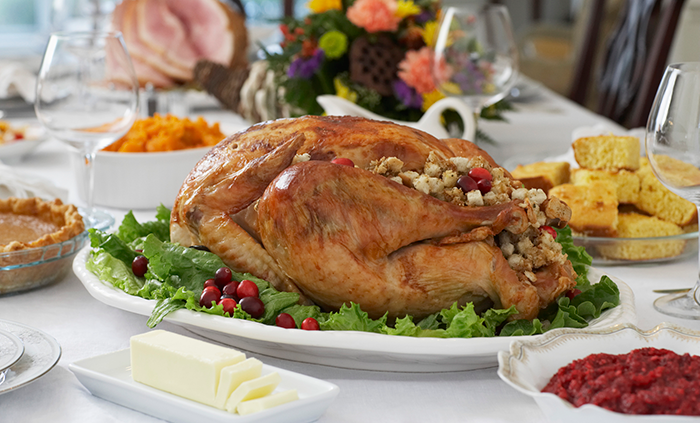 We all overeat on holidays but most people never lose the weight gained during that period. According to this study, most people only lose two-thirds of the weight gained during holidays. The weight adds up holiday after holiday and eventually, folks become overweight. Well, you can celebrate holidays without sabotaging your weight loss efforts. The easiest way to do this is to eat in moderation – don’t eat until you’re uncomfortably full. Most people eat vegetable oil from fried foods and processed foods. Research shows that vegetable oil causes inflammation due to high levels of omega 6 fatty acids. Additionally, oil is also high in calories so it causes weight gain. Consume less processed foods and junk food to reduce vegetable oil intake. You should also consider cooking with coconut oil. Studies show that it has numerous health benefits. There are so many strict diets out there. Diets that advice what to eat, what not to eat, when to eat, and so on. Such diets are not healthy and usually lead to bingeing. 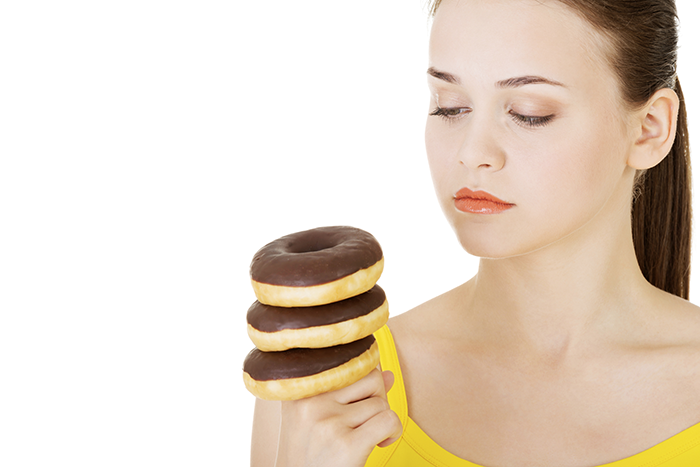 In fact, researchers say dieters start craving foods when they’re forbidden from eating them. Sometimes they start craving foods they don’t like, simply because they’re forbidden. Unless you’re addicted to a food, don’t restrict yourself from eating it. You don’t have to eat clean all the time to lose weight. Just eat healthy foods 80-90% of the time. Even though study after study has shown that sugar is bad for your health and weight loss – sugar consumption is still increasing every year. And it’s not table sugar which is to blame – added sugar is the real cause of this problem. So many processed foods have added sugar. Be sure to check food and drink labels for added sugar. Reduce the intake of table sugar as well. Calorie-containing beverages will automatically increase your daily calorie intake. The stomach doesn’t care about calories – it cares about food volume. Since sugary drinks are not filling, you’ll still be hungry even after drinking a thousand calories. 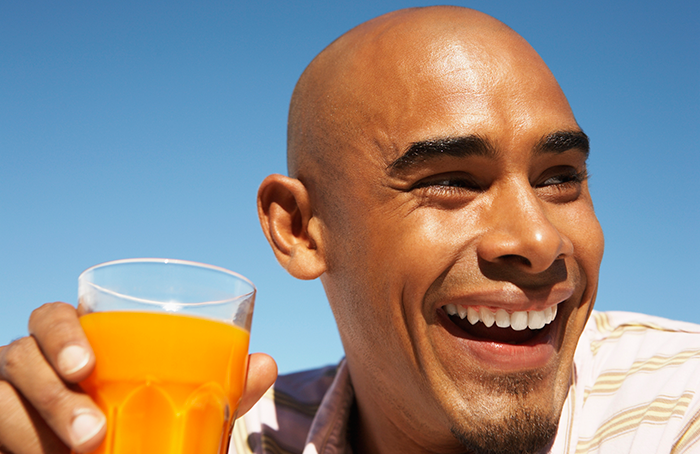 Note that fruit juices are not any better because they contain the same amount of sugar as processed drinks. Avoid all calorie-containing beverages when trying to lose weight. Rewarding yourself can actually help you stay on track. But just like cheat meals, most people use this opportunity to overindulge in junk and sugary foods. If you eat a piece of cake every time you finish a workout, you’re probably consuming more calories than you burned in the workout. Neither do you have to reward yourself for eating healthy for 2 or 3 days. Chances are you’ll overeat if you eat while focusing on other things. In fact, most people only realize they’ve binged after they finish the food. Research shows mindful eating will help you eat less and lose weight. And it’ll also reduce chances of bingeing. From today learn to focus on eating only. Don’t watch the TV, or listen to music, or use the phone while eating. Sit at a table, focus on the food in front of you and chew every bite slowly. 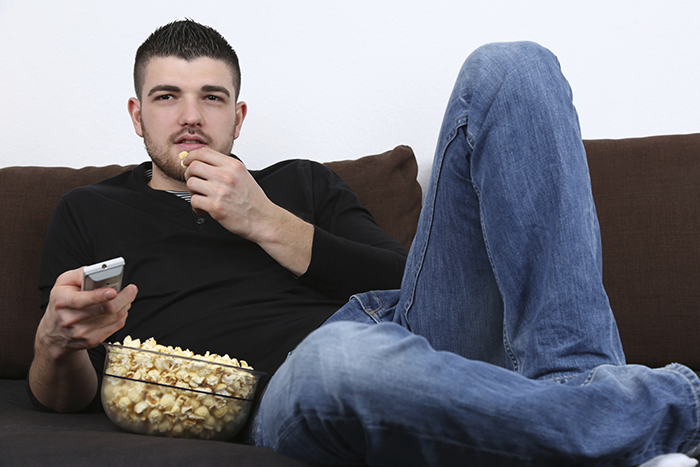 Researchers have found that people eat more when they eat snacks straight from the bag. You can’t tell how much you’ve eaten when you eat from a bag. Put your crisps or nuts in a plate or bowl and eat from there. That way you’ll recognize when you’ve had enough and stop. Maintaining huge calorie deficits may work for a few days. But soon the side effects will start kicking in. You’ll start feeling hungry all the time, metabolism will slow down, you’ll lose muscles and fat loss hormones will be damaged. The body needs enough energy from food to function properly. Don’t maintain a calorie deficit higher than 25% of your maintenance. Binge eating is when people lose control of food and continue eating even after they’re physically full. And most times they experience feelings of guilt and shame afterward. Sometimes binge eating goes on for long and eventually dieters fall off the wagon. If losing weight was as easy as drinking green tea every day, we would all be lean. 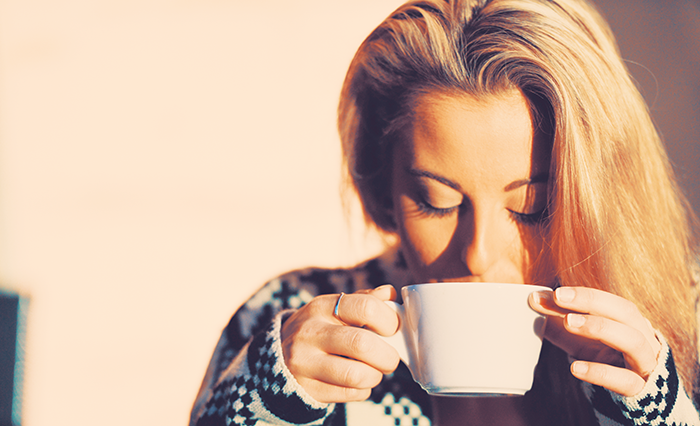 Healthy drinks like green tea have weight loss benefits but they can’t transform your body. You still need to maintain a calorie deficit and exercise. Even the best fat burner supplements won’t get rid of the excess fat. Most folks try to change diets when they don’t see results. Then they get bored with the new diet and start looking for the next one. The problem is not the diets – it’s your eating habits. You might be on the best diet in the world, but if you lack discipline you won’t lose weight. Switching diets may lead to yo-yo dieting, which by the way, studies show that it damages metabolism and makes it harder to lose fat in future. Frankly, there’s no superior diet out there – they are different approaches to eating healthy and maintaining a calorie deficit. In fact, you don’t need to follow any diet, just stick to the advice in this article. Studies show that lack of sleep causes weight gain. It also raises cortisol levels which in return cause inflammation and makes fat settle around the abdominal area. Additionally, lack of sleep causes fatigue and headaches which can reduce your workout performance. Make sure you get at least 7-8 hours of sleep every night. Here’s how to ensure you get a full night deep sleep – keep the room dark, reduce noises from outside by using white noise, don’t watch TV before bed and so on. Check out 20 tips for sleeping better every night. Most people don’t consume enough fats, especially omega 3 fatty acids. As I mentioned earlier, we get omega 6s from many sources. And the more omega 6s we eat the more omega 3s we need. Research shows that you should maintain a ratio of 2:1 of omega 6s and omega 3s, respectively. The best sources of omega 3s are salmon, fish oil and krill oil. Many people turn to food when they are depressed, sad, lonely, or excited. These emotions raise cortisol level and trigger a fight or flight response, which stimulates appetite. Learn to deal with emotions without involving food. Exercise is one of the best ways to reduce stress. This study shows that playing sports may help but won’t fix the problem. So seek professional help if nothing seems to work. 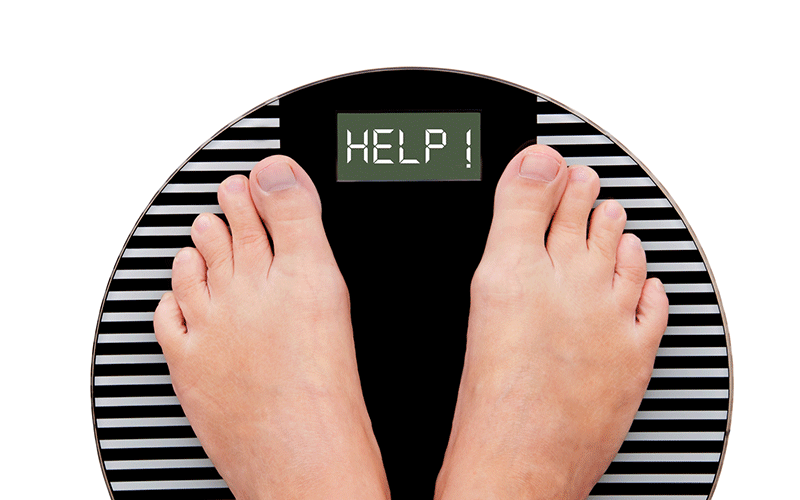 Weighing yourself several times a day is not a good idea. There’s no real weight loss that can happen within hours. Weight fluctuates up and down due to water weight. Weight going up by a pound or two can be depressing and lead to emotional eating. Step on the scale once or twice a week. Just focus on eating healthy and exercising. Proteins are a very important nutrient for fat loss and muscle growth. They boost metabolism, reduce cravings, enhance muscle growth, and much more. 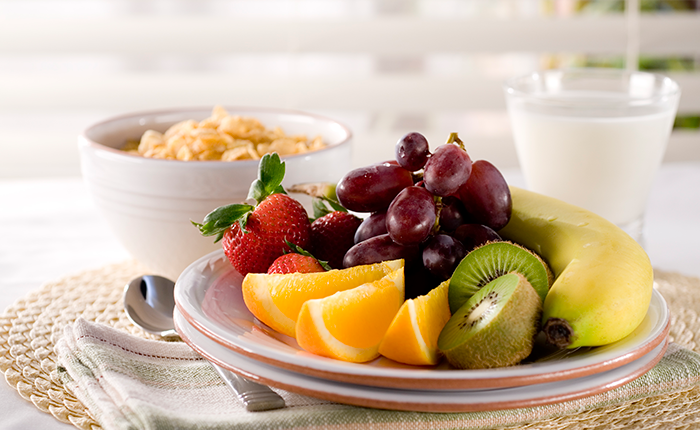 In fact, research shows that eating protein in the morning can help you eat less during the day. Proteins should make up 30-35% of your total daily calorie intake. Here are the healthiest proteins according to 39 nutrition experts. I doubt you need a study to tell you that junk food is bad for weight loss and your health. For some folks, abstinence from junk food is the best strategy since it’s addictive. Most alcoholic beverages are high in calories. A gram of alcohol has 7 calories. Not to forget that getting drunk also leads to poor food choices. 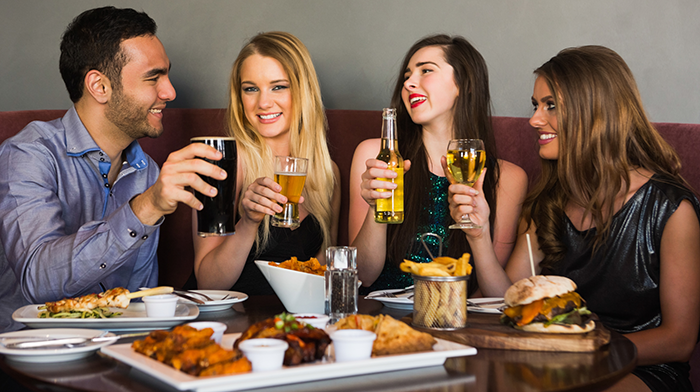 This study found that people who overindulge in alcohol gain weight. So drink in moderation or avoid it. It’s worth noting that spirits don’t have calories, so you can opt for them. Most people only exercise to burn calories and lose fat. Even though that’s a good thing, focusing on getting strong will take your mind off the fat loss and help you get in shape faster. Focus on doing more push-ups instead of calculating how many calories push-ups burn. Gaining strength will motivate you to keep going even when there are no changes on the scale. A study conducted by the University of Missouri-Columbia found that sitting for a few hours causes the body to stop producing lipase, a fat-restraining enzyme. If you sit at a desk every day – stand up after every hour and take a walk or stretch. It’s highly likely to forget this, so set reminders. You may also want to do these exercises to correct bad posture caused by sitting all day. This article has enough information to help you lose weight and keep it off. So put it into action and avoid these habits. 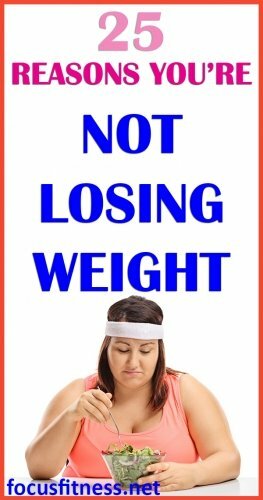 Why do you think you are not losing weight?